We were so thrilled to get a message from a proud mom recently, telling us about her compassionate kid. 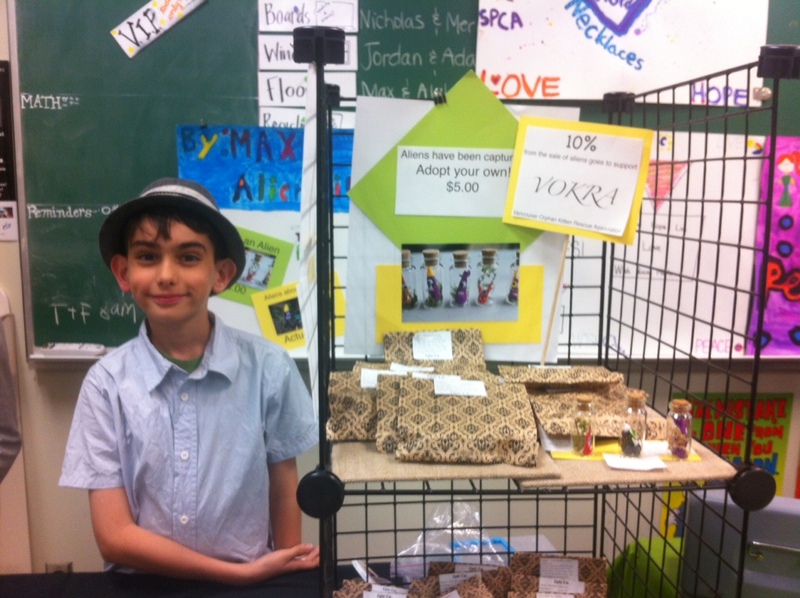 Max’s Grade 4/5 class took part in a “Young Entrepreneurs” project at his school. They had to design a project, then create and market it including figuring out all the financial costs. Each student choose a non-profit or charitable organization to receive 10% of the money they made. Max choose VOKRA because he loves his cat Jax. Here is Max and his Aliens in a Jar that he created and sold. Okay, well now I totally want an Alien in a Jar. Looks like this creative little guy has a great future ahead of him! And thanks to his donation, so do more rescue cats and kittens. Great job, Max!